A visit to the desert is not to be missed when visiting the UAE. Each desert safari is a wonderful experience with a variety of activities to try. To help in choosing the right desert safari for you, our adventure experts have listed out what is included and what to expect on each desert adventure. 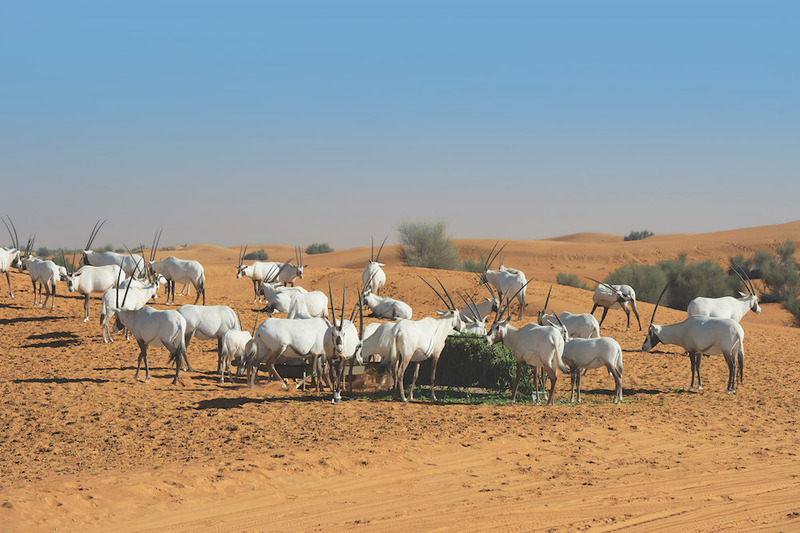 The Sundowner Safari from Arabian Adventures is one of the few desert safari packages that operates in the Dubai Desert Conservation Reserve (DDCR), where a portion of the fee supports conservation and there is a chance to see desert wildlife. 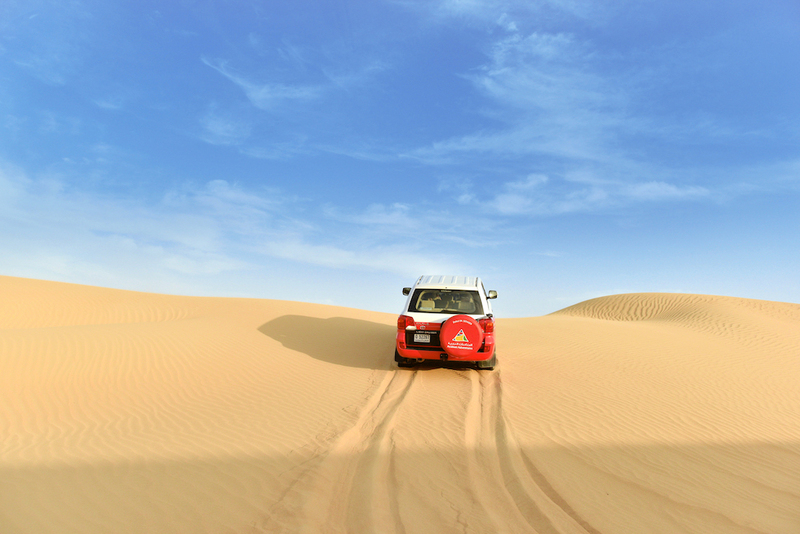 Explore the conservation reserve on a sunset drive across the dunes and take scenic photos of the Arabian sunset surrounded by dunes as far as the eye can see. The drive ends at our traditional Bedouin-style camp as darkness falls and a welcome of Arabic coffee and fresh dates await. 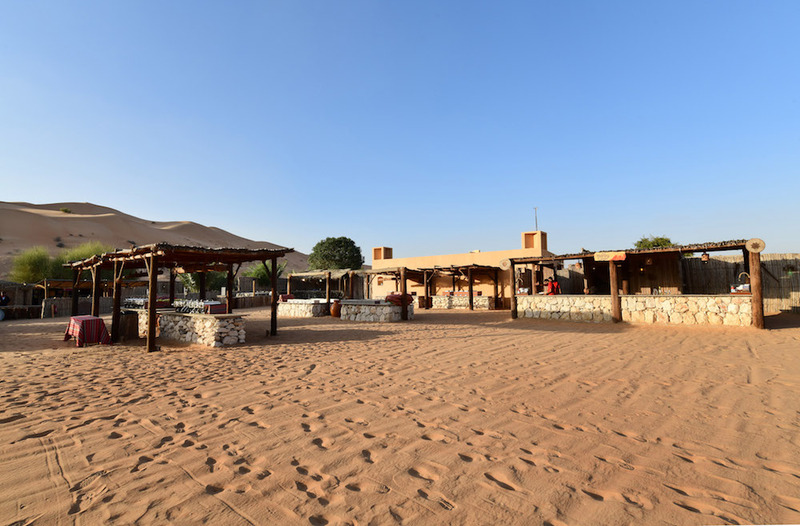 A variety of desert activities are available at the camp at no extra cost. Enjoy an Arabic-style buffet dinner, belly dancing performance and star-gazing. Another desert safari deal for visitors looking for an escape from the city is the Overnight Safari. Offered by Arabian Adventures, this includes a stay in the DDCR where a retreat under the stars awaits. The Overnight Safari features permanently-furnished tents around a seating area with large confirmable cushions and a bonfire. A delicious BBQ dinner is served with unlimited adult beverages under the night sky. In the morning, a hot breakfast is served. Visitors who are looking to experience the desert in the early hours should choose the beautiful Morning Dune Drive, a desert safari deal in the DDCR. This desert safari in Dubai offers visitors a variety of exciting activities including a first-hand look at desert wildlife, a camel ride and sand-boarding (in the winter months). An experience of a lifetime for travellers is the camel trek through the DDCR. Offered by Arabian Adventures, this desert safari deal follows the trail of the magnificent dromedary camel, also known as the ‘ship of the desert’, to explore the desert’s plants and wildlife. Depending on the season, this experience is offered in the morning with breakfast next to a lake, or at sunset with fresh strawberries and bubbles. For the adrenaline junkies and thrill seekers, the desert dune buggy ride is the go-to desert safari deal. This desert safari offered by Arabian Adventures is an exhilarating ride across the dunes in the latest four-seater dune buggies. 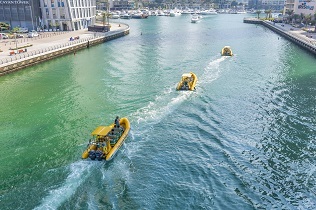 The fun drive is available as a passenger or driver experience, in a shared or private buggy. 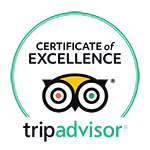 Arabian Adventures is the go-to provider for a variety of exciting desert safari experiences. With so many desert safari deals to choose from, there truly is something for everyone! 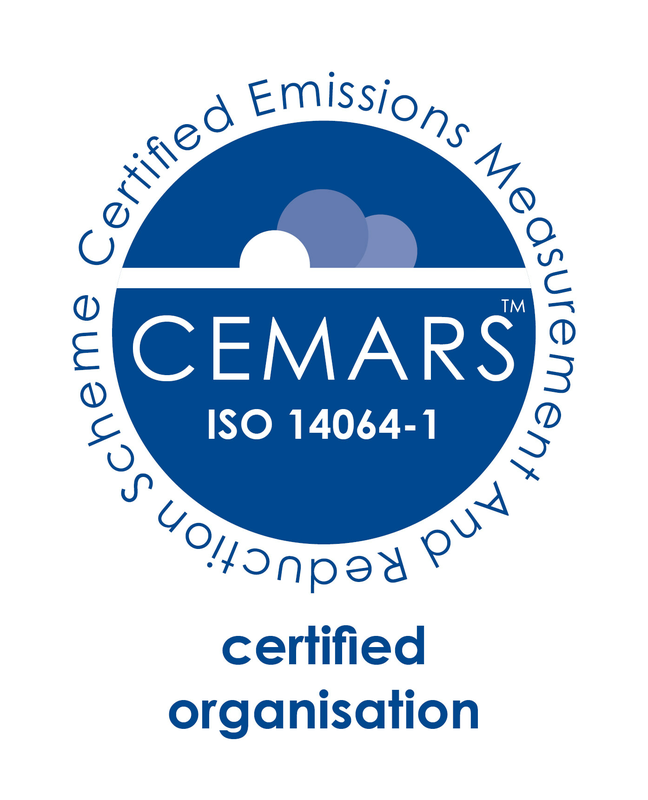 Book early as limited spaces are available! Book your desert safari adventure by visiting arabian-adventures.com or call 800 2722426 for more information on our exciting packages and offers.